Capital City Equipment has all the muscle you need to keep things moving on any job site, with industry-leading Bobcat compact equipment. Smaller job or tighter budget? See Capital City Equipment’s large selection of guaranteed, used equipment, available for sale, rental and lease. Keep your compact equipment on the job with Bobcat-certified service and parts from Capital City Equipment. We also service all makes. 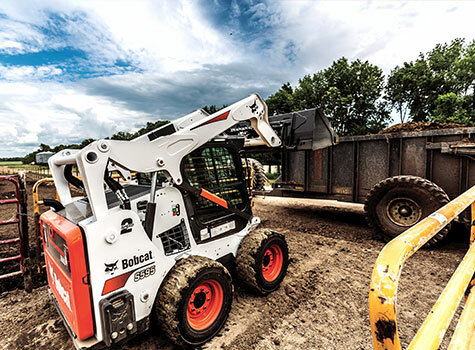 Capital City Equipment Company offers a complete line of new and used Bobcat compact equipment including, but not limited to, skid-steer loaders, excavators and attachments. Capital City Equipment has been serving the construction industry in central Iowa since 1976, and is the trusted source for all compact equipment. With our network of products and factory-trained technicians, we have you covered whether you want to buy new equipment or used equipment, rent or need service done. 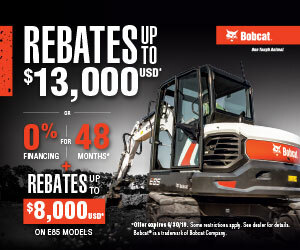 To see our complete Bobcat line and other equipment, please stop by.